Design for Learning | Exploring collaborative leadership & social learning to build an innovative workplace…. 2 parts knowledge and inquiry, 2 parts plan, 2 parts sub and pop culture, 3 parts fun (including what the suits call execution). Apologies that this took me a few days to finish. In the spirit of creating an interactive infographic, I developed one that has links to the more helpful presentations and resources I found while attending DevLearn 2015. Click on the image to open the PDF with active links to both .pdf and web resources. 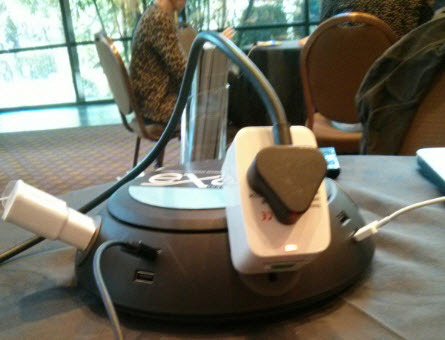 Badges – I learned first hand from participating in the badging system for DevLearn using the DL2015 app how competitive I am, and humorously enough, I eventually realized that I wasn’t trying to earn the points to get the swag. I did worry that many people might have been trying to load their points by filling out assessments for sessions they did NOT attend. Oh well. I suppose there’s a way to filter these responses out. Still, for the execution of a badging strategy to work effectively, trust in the badging system must be built (by using trusted experts, both within and outside). Also, administrators and monitors of the system could effectively be training by having earn badges themselves. Sticky Infographics – you can create engaging infographics using Storyline, Captivate, Lectora and even simple PowerPoint (publishing a linked and media embedded PowerPoint slide as a PPS or PowerPoint Slideshow). Internet of Things – touched upon in David Pogue’s keynote, will change how we collect data on ourselves and others and how we learn from it. Some apps collect data that can drive competition (example: fitness & weight loss apps). Others will give us a picture of our own and sometimes our peers behavior over time. Science and Art are Connected – Through his artfully presented talk, Adam Savage from the Mythbusters showed us how Science and Art have a lot in common and that curiousity sparks and drives achievement and discovery in both. And Savage’s advice to all learners: Pay attention; speak your mind; stay curious; ask questions; and tell stories/listen to them too. To view a very good summary of the Savage’s keynote, view Cammy Bean’s Live Blog Notes. Years ago I had a simple idea: happy learners are those who get what they need to feel accomplished in their tasks. Depending on your field or business, successful learners are accomplishments and milestones or happy and loyal customers. So many training efforts focus on wowing learners during the training. 24 hours later, you can ask those same learners what they learned and they will have forgotten most of it. According to Kohn apparently 70% of all training is forgotten after a day. 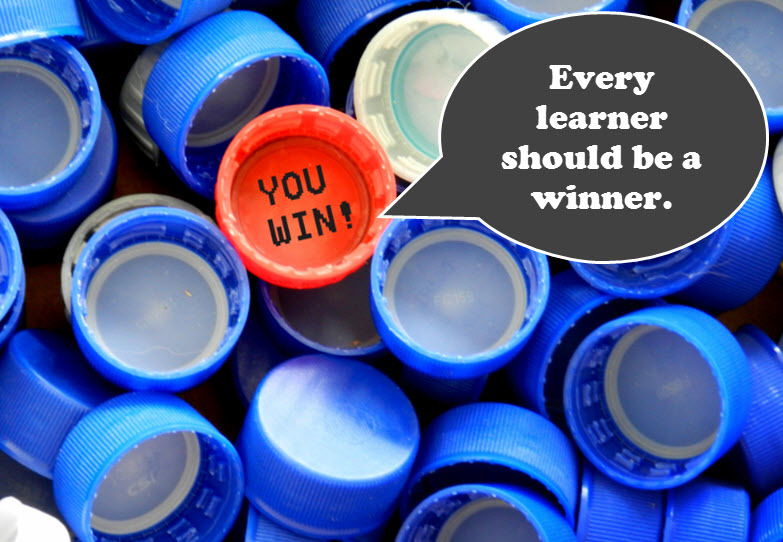 What does this mean for your strategy for creating happy learners/customers? You need to focus on what is done after the training. 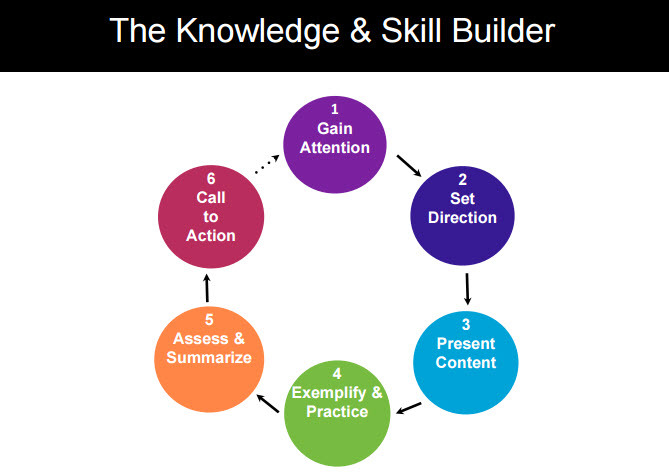 According to Art Kohn’s presentation, this can be accomplished by meeting the needs of the 3 part recommendation of activity that focuses on what happens after the training (see the image below). One example Kohn highlights as part of their business solution is providing learning boosts to training participants which are brief questions, quizzes or polls around the content. Another example includes using social reinforcement in the form of competitive games with learners (badge earning, accomplishment lists). Cammy Bean pointed out designers of learning experiences should avoid overusing the clickity clackity and bling, bling where it’s NOT necessary. Bad Computer Based Training (CBT) is usually pretty flat and is mainly a content dump. Instead it should address the following questions the right way. How does it make you feel? –> Does it appeal to or touch upon the appropriate emotions to get your attention? How does it look? –> Is it aesthetically pleasing and easy to read? Do you know what to do with it? 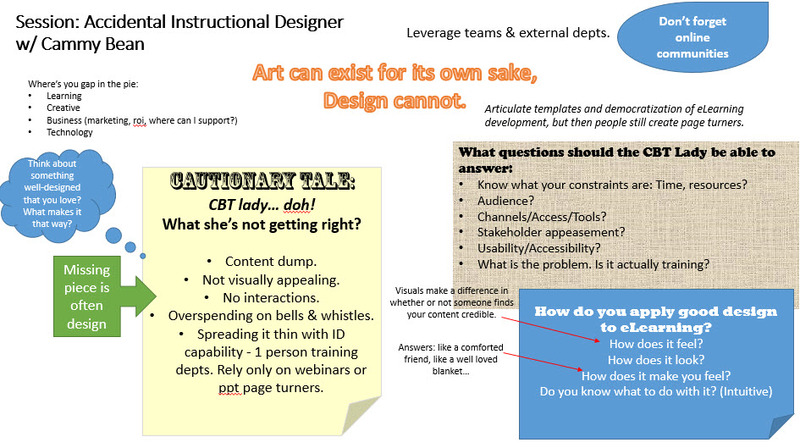 –> Can the learners just pick it up and learn without 5 pages of orientation and instruction? Is it intuitive? I would add the following question because, as Cammy pointed out, so many people are still resorting to creating page turners (or even content dumps in the form of webinars, which seem to be the bandaid training in many corporate and business environments). Are you just resorting to dumping content? –> Have you created a simple page turner? 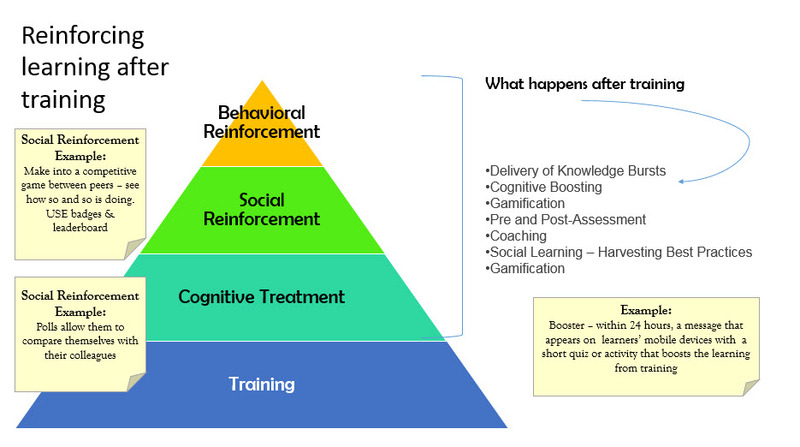 Or are you engaging your learners and providing opportunities for them to reinforce their learning? I think going forward I’m going to use these questions very similarly to the questions I use in the empathy map I explained in a previous blog post. They can act as reflective and evaluative questions of my own training strategy and design to insure that my learners are the winners. The average age of a user on Twitter is 35 and their income is $75K. A while ago I also read somewhere that Twitter users are the introverts of the net while Facebookers are the extroverts. Honestly, that sounds about as real as a “Which Game of Thrones Character Are You?” quiz. I don’t use facebook, but as a skeptical introvert, even I take what I’m saying with a grain of salt. Here is an interesting post from Fast Company that argues that introverts make the best networkers on Twitter. I like the idea, but as I discussed in my Twitter conversation with @pascalliberte on badges, as a somewhat competitive learner. I like the idea of tracking my progress in learning with milestones and badges. I also might make an effort to be the first to finish tasks. However, I can empathize with those who might feel like badges are as patronizing as using stars and stickers to motivate adults to learn. The use of badges and leaderboards must be done appropriately for the learner audience. STICKY IDEA: Clickly clicky bling bling is NOT what we want to do with our eLearning. Choose wisely. 1.) It’s important to consider the big picture for developing good training content (Consider the 4 areas: Creative, Business, Technology, Learning (Pedagogy). 2.) Many eLearnings that fail don’t consider the importance of good design. Design must have a purpose. 4.) Here’s a great example of design that engages emotionally – we think about how gross this is. 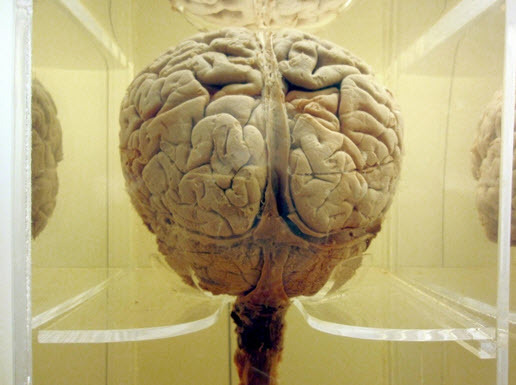 The images help tell the story and spark and emotional response. The questions are meaningfully written and designed to provoke thought, and it’s intuitive and easy for the user to use! 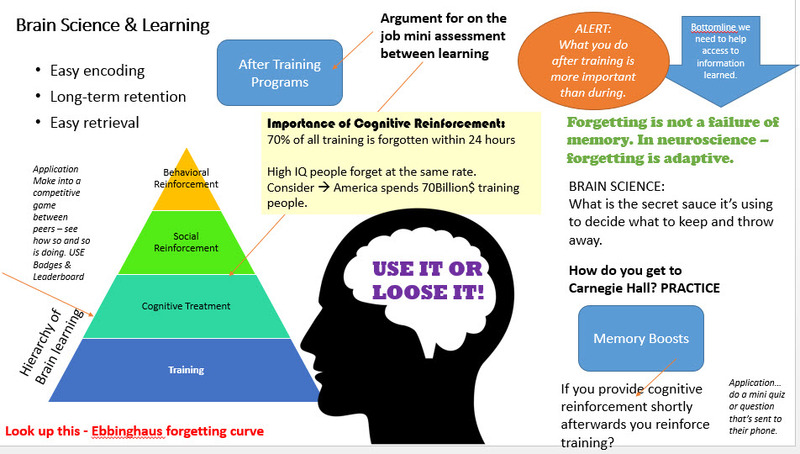 During the session I created an infographic to support my learning (and remembering ;)). Received Boosts of 5 seconds –> 5 minutes… got the same levels of retention. What you do after training is important to increase retention. Comicbook style interactions, using animations. Place more emphasis on the story. 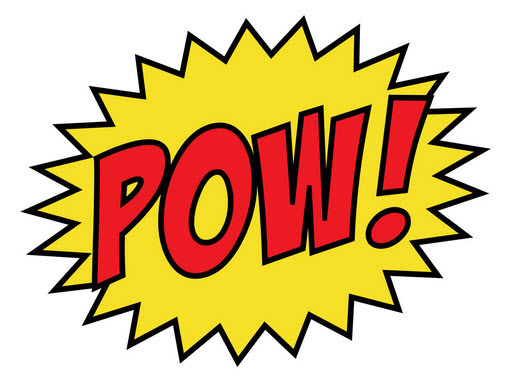 Comics: create interest, focuses on story points. Visually communicate ideas and grab your attention. Allow you to storyboard content. 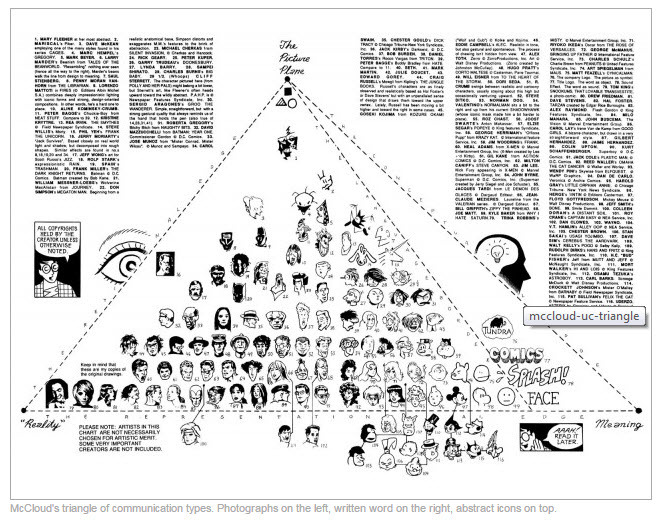 Reference – Scott McCloud’s icons hierarchy. Comics –> Distance = Time. Tripping the Z-axis. Translation perceived depth. Simple example = shadow. Comixology is a great app. Provides examples of how to execute. Keep animation simple. Simple line motion animation can provide a powerful effect. Remember distance = time. Create your comic layout/ and fill out the panels. Similar to how Prezi works with the zoom feature. Cool – can embed videos in a panel! Put panels on separate layers. Pause each panel and place the timing on the timeline for the layer/panel. You can add a motion path. Add click interactivity to view next panel or layers. BRILLIANT!!! The last time I was at MGM Grand Hotel was in the 80’s as a child, I remember riding the elevator with the comedy legend Dom Deluise. Today, this hotel seems even more massive and maze-like. 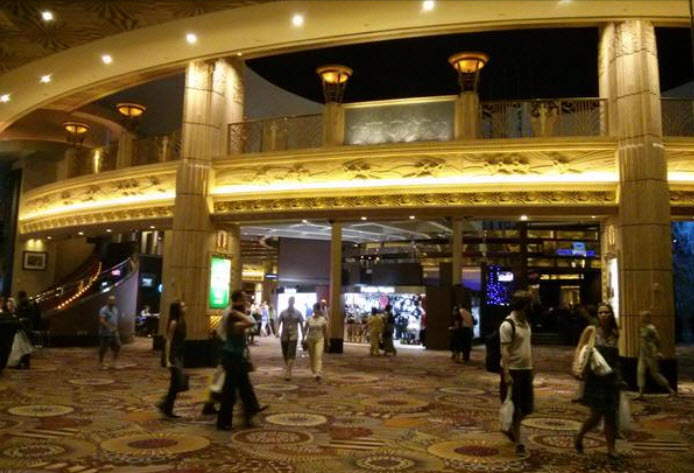 I am trying very hard not to get overwhelmed by the Casino environment. Only my first day here at Dev Learn 2015, and my colleague and I have had to text pictures to each other to locate each other. We made the mistake of agreeing to meet by the Starbucks, and of course there are three in the hotel. 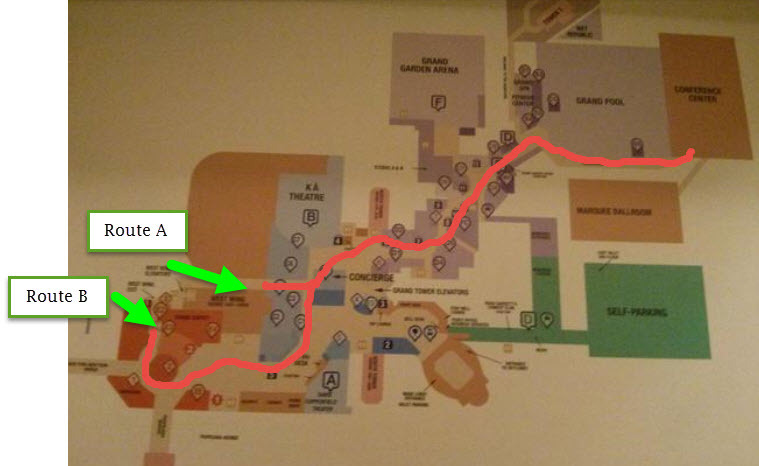 I finally took a photo of the hotel map and drew a path to the conference area! But I may have to make visual breadcrumbs/associations still to mark my path. Speaking of Rodents, with all the candy, toffee apples, cupcakes, fatty breads, high living and gluttony-inducing things around me… I couldn’t help but think that Templeton the Rat would have a great time here… at least in the dumpsters. Let me preface this post with the admission that I am not a professionally trained web designer. I have had experience designing web-based learning materials and have knowledge and exposure to Usability and User Experience (UX). Some of the past organizations I have worked for held UX as a primary goal in producing good products. I am still very committed to learning how to provide the most user-friendly solutions to the content I deliver. Happier users are more productive workers. Should website links to external sites open in new windows? 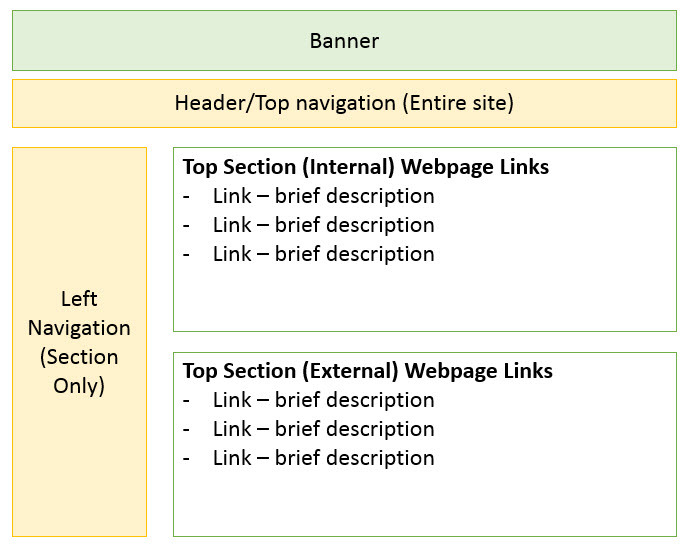 If so, how do you differentiate links on a site to external pages to links that point back (internally) to the site? I wanted to do some research on the questions above to help provide answers but also to solve a problem I am facing with a website I have inherited. This site, which I vaguely referenced this site in a previous post, needs a major overhaul starting with a card sort, but the immediate need is to update some of the more visited pages with current information. After reading the advice and developer discussions on the sites above as well as additional resources, I’ve come to the conclusion that I will continue to keep external pointing links pointed to opening in new browsers, because they are reference to content outside of our own. I’m also leaning to proposal #1 below to help guide or teach users where to go. Train users where to expect internal pointing links vs. external pointing links. If possible keep the internal pointing links together in 1 section at the top of the page. Links that point to an external site are kept in a second section. There are no explicit instructions that warn users, but eventually repeat users learn that anything they click at the top of the page points to the same site, but links on the bottom half are external links. They start to expect the behavior. Give the users a choice. Have the current link open in the same browser, but provide an icon that allows them to open in a new browser. While this seems like the politest option, from a web developers perspective it is the most labor intensive. Also, it will me you will have to update links in two places. Proposed temporary solution to web page design. * I have to resist the desire to say that such hub sites are NOT helpful to users because their architecture is often not based on personal user experiences.